This is just one example out of the thousands of educators all over the world who are using Voces digital in their classrooms every day. Students love Voces. It's interactive and keeps them challenged and engaged with a flexible curriculum framework. Voces titles include ACTFL-aligned Can Do statements, hundreds of videos, audio from native speakers, authentic resources, quizzes, activities, games, and more. 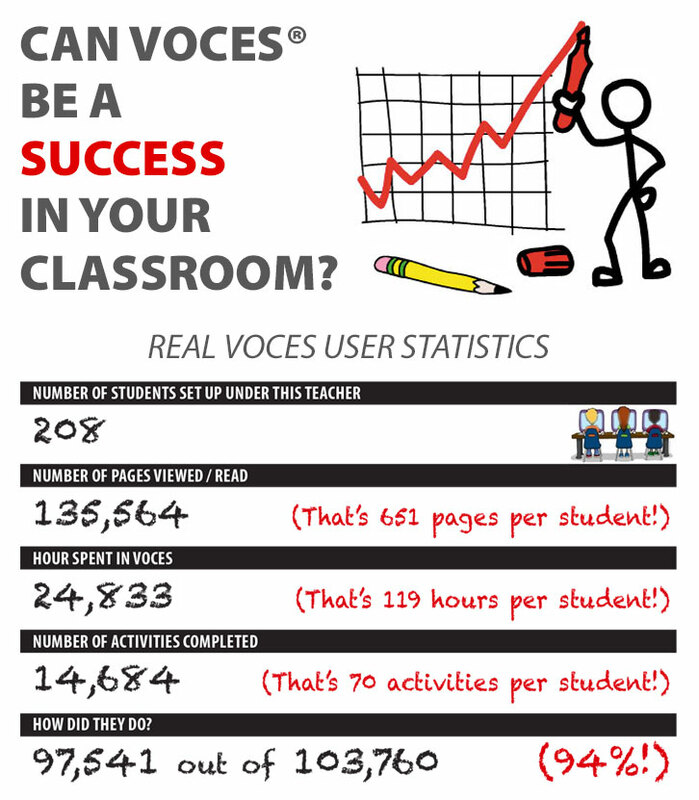 Contact us to request an infographic sheet similar to this one, showing you the statistics of your classroom usage. A great tool for showing administrators how effective and successful Voces has been for you.